Included Components : Antenna, 3-Way Mount. Better voice and 4G/3G data. Assembled in USA & 2 year warranty. IMPROVED CALL QUALITY: The weBoost 4G-OTR Cellular Antenna Truck Edition improves voice quality as well as 4G and 3G data. MADE IN THE USA: This weBoost antenna is assembled in the USA and includes a 2 Year Warranty. CONNECTIVITY: Wilson Electronics Dual-Band Magnet Mount Cellular Antenna works with weBoost and Wilson cellular signal boosters. INSTALLATION: This Wilson Electronics antenna includes a magnet mount and includes 12 feet of cable with a SMA-Male connector. We want you happy! Condition: New. Outer boxes are a little worn. Product is new. Our find is your treasure.”. 5 out of 5 stars - Wilson 314411, 50 Ohm WideBand Yagi Directional Cell Phone Booster Antenna-NEW! 2 product ratings2 product ratings - Wilson 314411, 50 Ohm WideBand Yagi Directional Cell Phone Booster Antenna-NEW! It is designed to be used with one of our amplifiers. The Wilson 311125 antenna is omni-directional which allows it to receive signal from all directions. Multi-band versatility, Works with 50 Ohm amplifiers and accessories. WeBoost, by Wilson electronics, 4G-OTR trucker cellular Omni-directional antenna designed for vehicle cell phone signal boosters. The 4G trucker antenna with a spring mount is ruggedized for heavy-duty vehicle, RV and trucking applications. WILSON DT4G SMARTECH III ANTENNA CELL PHONE SIGNAL BOOSTER No Chords. Condition is Used. Shipped with USPS Priority Mail. 12" magnet-mount cellular antenna - Dual-band 800/1900 MHz. 12.5ft RG174 A/U 50 Ohm Coax Cable - SMA-male Connector. Lot of 21U. S Cellular Wilson Data Card Antennas.Magnet Mount. Compatible with adapters for the UM185 and UM175. IMPROVED CALL QUALITY: The weBoost 4G-OTR Cellular Antenna Truck Edition improves voice quality as well as 4G and 3G data. 12” Magnet Mount Antenna High Performance Tri-Band Magnet Mount Antenna. High gain output omni-directional antenna. Boosts all 700, 800, 900 and 1900 MHz cellular frequencies. Boosts voice and data. WeBoost Wilson Electronics 4G Cell Phone Cellular Antenna Signal Booster Mini Make sure this fits by entering your model number.COMPATIBILITY: This Wilson Electronics 4G Mini Magnet-Mount Antenna is compatible with all US carriers including: ATT, T-Mobile, Verizon, SPRINT, Straight Talk, U.S. Cellular and many more. *Government regulations in the U.S. prohibit boosting a particular frequency used by some of the Sprint network. Most Sprint customers still see performance improvement from Wilson Electronics directional antennas.VERSATILITY: The Wilson Electronics 4G Mini Magnet-Mount Antenna is transferable between vehicles.SMA MALE CONNECTOR: The Wilson Electronics 4G Mini Magnet-Mount Antenna features an SMA male connector that facilitates the transfer of high-frequency information.RARE EARTH MAG. WILSON ELECTRONICS 311125 Dual-Band Magnet-Mount Antenna. Antenna Type: Omni-directional. Add to Favorite. We do not accept P.O. Boxes. We're happy to help. It is designed to be used with one of our amplifiers. The Wilson 311125 antenna is omni-directional which allows it to receive signal from all directions. Works with 50 Ohm amplifiers and accessories. Equipped with 10 feet of RG174 cable, this antenna can transfer and receive data at high speed! 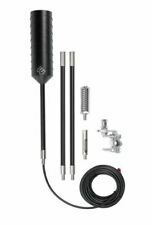 This antenna features a 360-degree horizontal radiation pattern that allows your booster to acquire signals from all directions for a larger coverage area. 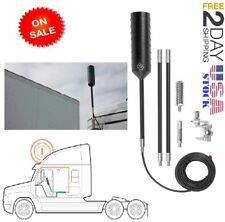 WeBoost 4G-OTR Cellular Antenna Truck Edition With 3-Way Mount - 14ft Cable - Sma Male Connector. weBoost, by Wilson electronics, 4G-OTR trucker cellular Omni-directional antenna designed for vehicle cell phone signal boosters. 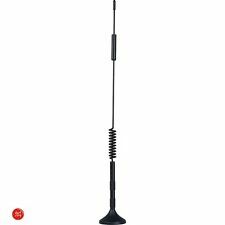 The Wilson 311125 50-Ohm 12" Magnet-Mount Antenna is a multi-band antenna that features up to 6.12 dB of gain. It is designed to be used with a Wilson amplifier. 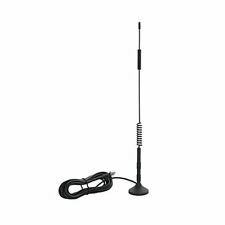 The Wilson 311125 antenna is omnidirectional which allows it to receive signal from all directions. IMPROVED CALL QUALITY : The weBoost 4G-OTR Cellular Antenna Truck Edition improves voice quality as well as 4G and 3G data. Assembled in the USA, this 4G truck antenna is rugged enough for heavy-duty vehicles, RVs, and trucks. Let nothing — not even cellular signal — hold you back from traveling to the most distant places. With the 800/1900 MHz Magnet Mount Antenna from weBoost, you can forget about losing connection to the rest of the world when you head out of the city. IMPROVED CALL QUALITY: The weBoost 4G-OTR Cellular Antenna Truck Edition improves voice quality as well as 4G and 3G data. Assembled in the USA and backed with a 2-year, this 4G truck antenna is rugged enough for heavy-duty vehicles, RVs, and trucks. IMPROVED CALL QUALITY: The weBoost 4G-OTR Cellular Antenna Truck Edition improves voice quality as well as 4G and 3G data. Assembled in the USA and backed with a 2-year warranty, this 4G truck antenna is rugged enough for heavy-duty vehicles, RVs, and trucks. IMPROVED CALL QUALITY: The weBoost 4G-OTR Cellular Antenna Truck Edition improves voice quality as well as 4G and 3G data. MADE IN THE USA: This weBoost antenna is assembled in the USA and includes a 2 Year. WeBoost Wilson Electronics 4G Cell Phone Cellular Antenna Signal Booster Truck. Condition is New. Shipped with USPS Priority Mail.